FinishCraft opened for business in Kennewick Wa. in the spring of 1990 doing wholesale and retail auto and boat collision repairs. FinishCraft’s main stay customers were dealerships for both cars and boats, soon after the first opening months we grew from 2 employees to 4. We out grew our 3500- 6 bay shop by 1992. We moved to our current location in 1992. The facility at 320 W Clark St. in Pasco Wa. has 7500 sq ft of indoor area and 7500 outside secured storage. 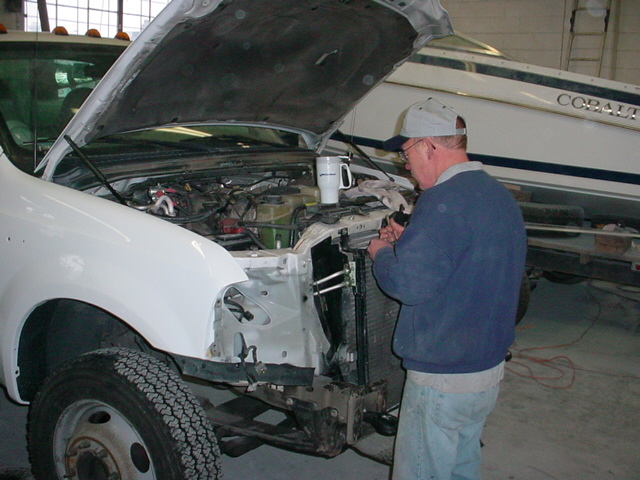 Our larger building allows us to do repairs on as many as 12 autos and 4 boats or watercraft at the same time. Over the years FinishCraft’s major work supply has changed from mostly wholesale, to mostly insurance oriented, and manufactures new car warranty repairs. We now employ two full time and one part time fiberglass boat repair technician, one general auto body technician, and one paint specialist. We also have a full time manger who performs computerized estimates and handles scheduling, parts orders and billing. Lets not forget the owners Randy and Donna; Randy is a hands on owner operator, General manager, and fiberglass estimator. While Donna handles accounts receivable, accounts payable, and payroll. That's Over 100 years of combined experience!